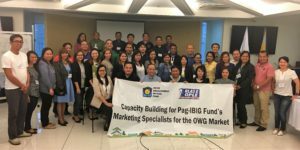 The Pag-IBIG Fund (or the Home Development Mortgage Fund) declared in its 2015 Annual Report that it succeeded in doubling its membership level in the last five (5) years and that its Members’ Savings collection increased by 9% compared with the previous year. Pag-IBIG attributed these increases to its “intensified campaign to register household helpers and self-employed individuals.” Domestic workers contributed P28.52M to the Fund in 2015 (a 16% increase from 2014) while self-employed individuals contributed P509M (10% increases from 2014). 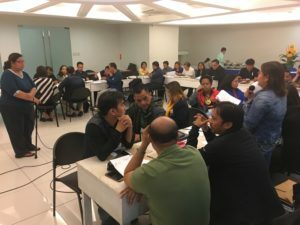 Despite these notable achievements, the Pag-IBIG has barely scratched the surface in terms of gaining membership from among domestic workers and informal sector workers – classified within the Pag-IBIG as Other Working Groups (OWGs). There are at least 1.9M domestic workers employed in the Philippines (according to the 2010 PSA Labor Force Survey). 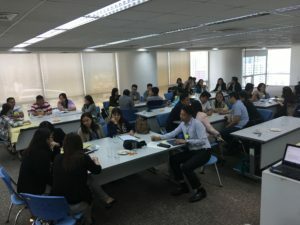 The 2008 Informal Sector Survey of the Philippines (conducted by the National Statistics Office) estimated that there are 10.5 million informal sector operators in the Philippines –29.6% of whom are engaged in wholesale and retail trade and 10% are in transport, storage, and communications. 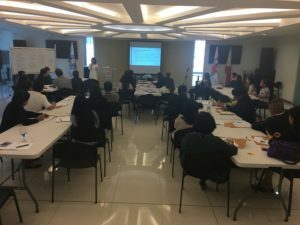 The training aims to build the capacity of the Pag-IBIG Fund in reaching out, enrolling, and sustaining the membership of sectors within the OWG. 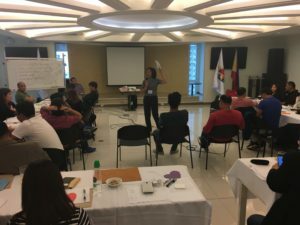 It seeks to augment the capacity of the institution in addressing two major challenges – on crafting a coherent and coordinated communication and marketing strategy and on the enhancing the skills level of Pag-IBIG Marketing Focal Persons to effectively get its message across the kasambahay, their employers, and OWGs. 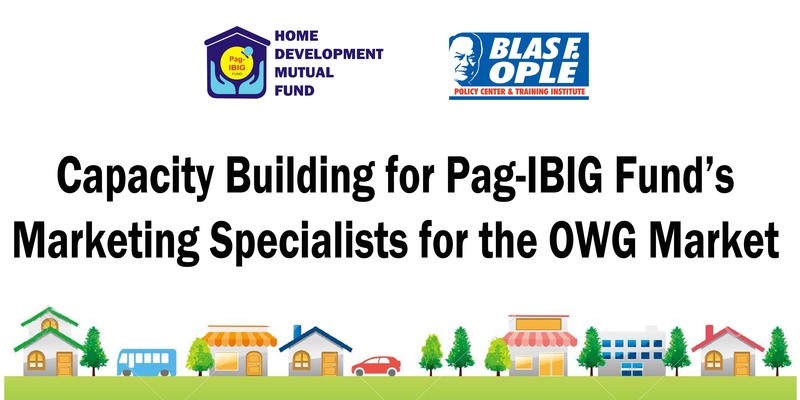 The Blas F. Ople Policy Center and Training Institute was selected by the Pag-IBIG Fund as the training provider. 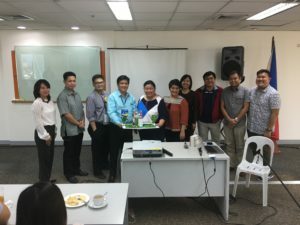 The Center worked closely with the Pag-IBIG Human Resources Department and other key officers in developing the program flow, content, and materials. 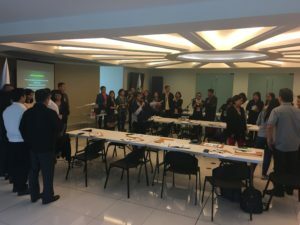 One Hundred Five (105) Pag-IBIG Marketing Point Persons from MSBs in the National Capital Region, Baguio, Tuguegarao, Bulacan, Vigan, Legaspi, Naga, Cebu, Cagayan de Oro, Surigao, Davao regions, Iligan, Zamboanga, Pagadian, Cagayan de Oro, and the Main Office participated in the first batch of the Training.